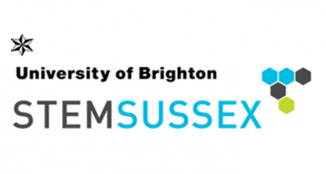 A pioneering scheme to reverse diabetes by allowing people to monitor their own metabolism rates was among the healthcare initiatives discussed at the University of Brighton’s Healthy Futures event. Dr Wendy MacFarlane, Head of the Diabetes Research Group at the University, presented a talk about how Continuous Glucose Monitoring Systems (CGMS) – worn on a patient’s abdomen – can be used to build personal profiles based on an individual’s blood glucose levels and their metabolism. The scheme, entitled GlycoTrain, will be of particular relevance to people at risk of Type 2 diabetes or those who want to lose weight. GlycoTrain can help reverse the effects of diabetes and allow users to build a personalised diet and fitness plan. 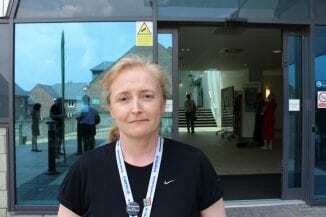 Dr MacFarlane and her team at the University will ask patients to document their eating and exercise patterns, moods and sleep habits in a diary. Staff can then use these details to create a specific programme for each person and advise them on what areas to prioritise in the effort towards improved health and better management of their condition. The initiative is currently being trialled by Dr MacFarlane and volunteers can sign up to participate by emailing w.m.macfarlane@brighton.ac.uk. Dr MacFarlane said: “It’s about giving people control over their metabolism. We’re working with people at a very high risk of Type 2 diabetes or who are trying to get their weight under control.